Our fair-use system has been around since the beginning of Premiumize.me. While we originally started with a weekly limit of 220 GB, the system didn’t work after we introduced new services like Cloud and VoIP. Finally, we decided to completely rebuild our fair-use system. But even that was a few years ago, so our current system has grown historically and changed. With this blog post, we want to give users who have not yet fully understood the system a little more insight, because it has become more and more complicated from year to year. Because we introduced VoIP we suddenly had to handle external phone credit or handle the torrent and the cloud calculation: a nightmare for the fair-use system. According to our fair-use policy, each user has 1000 points available per 30 days, which is 1000 GB in the ideal case (more about this later). However, it must also be said that this is a fair-use system, this means this is the maximum limit that was introduced so that all users can use Premiumize.me evenly and fairly, because our capacities are of course not unlimited. As already mentioned, each user has 1000 points available per 30 days. These points can be used for any Premiumize.me service (e.g. Cloud, Filehoster, VPN, VoIP, etc.). However, there is no classic “points reset”, as you might know it from the traffic accounting of your ISP. It’s a bit different with us: If you use our service points are deducted and then credited again after 30 days. A user buys a premium account and watches a 5 GB video on Openload. For this use 5 points are deducted. A week later, the user downloads a 30 GB file from his cloud storage, for which 30 points are deducted. On the 31st day of his premium membership he gets 5 points credited, because it is now 30 days ago that he has used up the 5 points for the video on Openload. On the 38th day he finally gets back the 30 points he used for the file from his cloud storage. Doesn’t sound that complicated, does it? There are however still some exceptions or deviations. 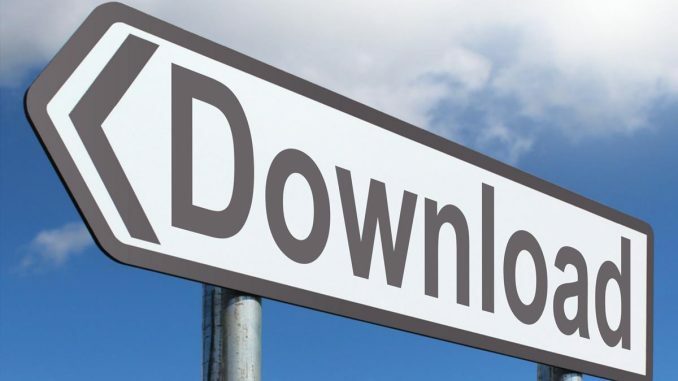 Unfortunately it has become trendy for filehosters to reduce their download limits even further. Many filehosters offer even lower limits than we do. Of course this is fatal, because no company can buy a product more expensive than it sells it. Therefore we unfortunately had to integrate the factors into our fair-use system, because the only alternative would have been not to offer the filehosters anymore, which was no question for us. Therefore some traffic is calculated several times according to the factor. For example, Uploaded.net currently has a factor of two, which means that the traffic used is multiplied by two, so 10 GB traffic are 20 points. The maximum possible factor would be a factor of 10, which we currently do not use. The respective factor can be seen on our service overview page. Another exception is VoIP. VoIP was and is a real problem for us because it does not integrate very well into our fair-use system. Since we work with an external VoIP provider, each account must have enough credit to make the call. That’s why you can use fair-use points to top up your VoIP account. Therefore, we have introduced the following regulation: Basically every user has 10€ credit on his VoIP account. If the credit falls below 9€ due to calls, we recharge the credit with points to 10€. A user makes a call to the mobile network of the United Arab Emirates for 2.30€. As a result, his credit balance is only €7.70. We recharge the balance automatically to 10€ and deduct 230 points (1 eurocent = 1 point). And finally: Cloud storage – another tricky problem. The storage space is also billed via the fair-use system. As with other services, one point is used per GB, but with the difference that you only get these points back when you delete the file, completely independent of the 30 days. Only a small percentage of our users reach the fair-use limit. However, if you should ever reach the limit and need more points, this is possible! There is the possibility to buy a booster package . With a booster you can buy more points and increase your limit. Furthermore we reset your fair-use points with every purchase of a premium package (except the points used for files in your cloud). Of course, your remaining premium days will not be lost, the newly purchased days will simply be added. Our customer service will always be happy to help you if you have any questions. Just create a supportticket.